Dr Raj is dedicated to providing a superior service of bespoke treatments which include anti-ageing injections, dermal fillers, lip enhancement and facial contouring using the best quality products to international standards. In addition to his advanced Botox and filler qualifications, he has attended numerous aesthetic masterclasses including tear troughs, chin and jaw enhancements, non-surgical Rhinoplasty, hand rejuvenation, Hyperhidrosis (excess sweating), Juvederm, Profhilo and Obagi skin treatments. 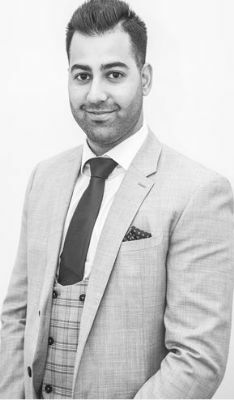 Dr Raj is known for his keen aesthetic eye which, in combination with his anatomical knowledge and diligent approach, he uses to deliver beautifully natural results.